Reishi Mushrooms have been used for centuries due to it’s incredible healing properties. 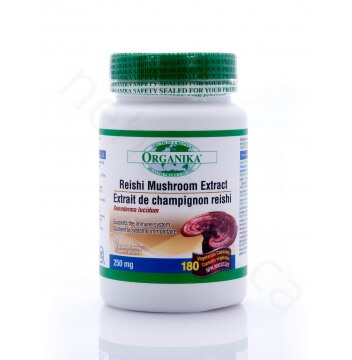 Organika’s Reishi Mushroom Extract is a certified product. 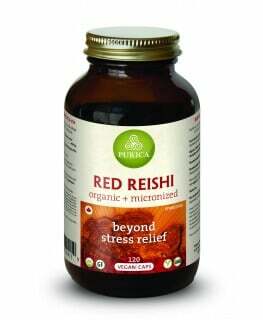 In traditional medicine Reishi is used to improve your bodies immune function and increase your bodies vitality. 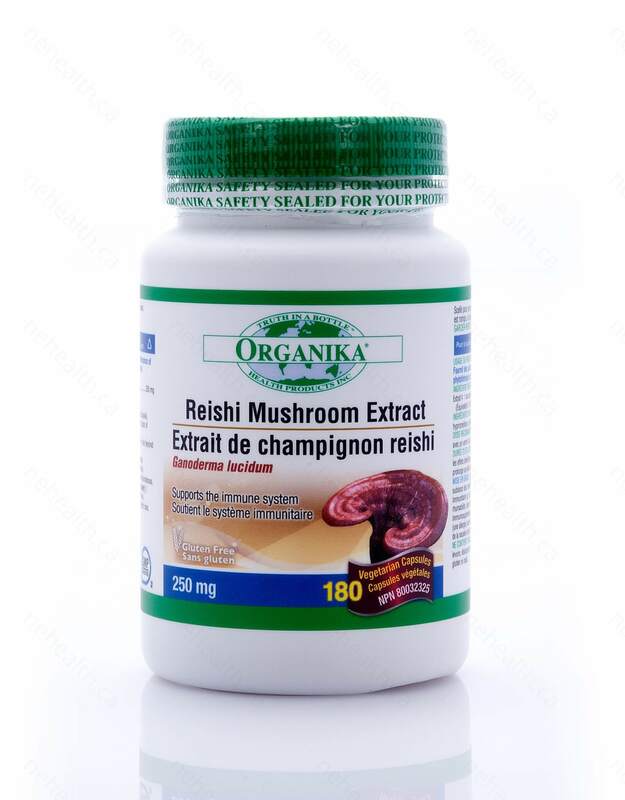 What are the Key Benefits of Reishi Mushroom Extract? Reishi is a mushroom that’s been used in Aisa for centuries because of it’s many health benefits. Reishi has been used to treat cholesterol and high blood pressure, prevent disease, and treat low energy. Non-medical ingredients: Brown Rice Flour, Magnesium Stearate, Gelatin (capsule). Does Not Contain: Dairy, egg, artificial preservatives, colours, yeast, artificial sweeteners, wheat, soya, gluten, or corn. Take 2 capsules per day between meals. * Use for up to 3 months. 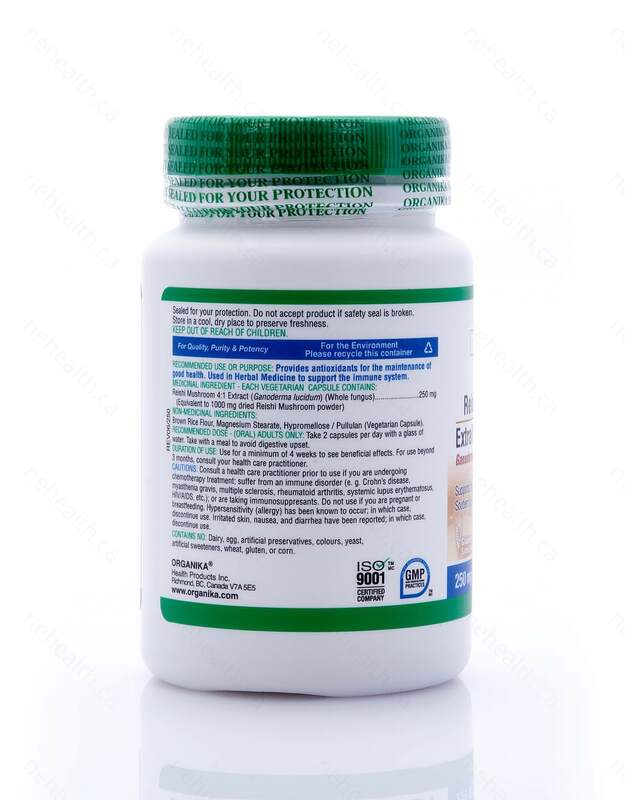 * Consult a health care practitioner prior to use if you are undergoing chemotherapy treatment; or are taking medicine or are allergic to any medicine; or have any other health problems, such as high blood pressure or heart or blood vessel disease. Do not use if you are pregnant or breastfeeding. Willard, Terry. Reishi Mushroom: herb of spiritual potency and medical wonder. Lubrecht & Cramer Limited, 1990. Jones, Kenneth. "Reishi mushroom: Ancient medicine in modern times. "Alternative and Complementary Therapies 4.4 (1998): 256-266. Jin, Xingzhong, et al. "Ganoderma lucidum (Reishi mushroom) for cancer treatment." Cochrane Database Syst Rev 6 (2012).